I have been recently playing with the Beta test version of the BeHear Bluetooth Headset. A beta version is a version of a product that is close to release, you would expect some bugs in the system because that is the nature of Beta Testing. The BeHear has some bugs, but when they iron them out, I think they will be an amazing piece of kit for people with hearing loss who aren't ready to move forward to hearing aids. Let's talk about the BeHear. The BeHear devices are representative of the new Hearables revolution, they are a typical Bluetooth headset with a real twist. it is a completely personalizable Bluetooth enabled stereo headset that provides audio enhancement for your hearing needs. It works with phone calls, audio play, and ambient hearing. The device can be tuned to reflect your specific hearing ability which will deliver exactly what you need to hear calls, music and even the speech of someone nearby. The device also helps improve your hearing comprehension. While talking on the phone or listening to voicemail, the EasyListen™ technology slows down speech to improve intelligibility of “fast talkers”, foreign languages, and recorded messages. The devices themselves are sturdy and well built with two in-line remote controls, one for the typical Bluetooth features and the other to control the personal amplification features. The buds themselves have magnetic plates on the outside that ensures the earbuds clamp together in front of your chest when not in your ear. 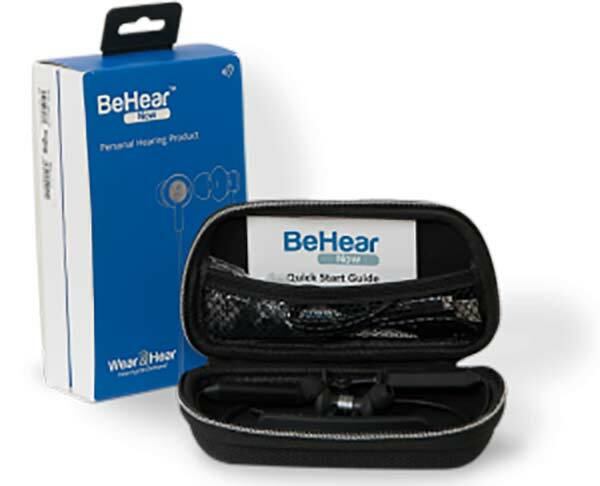 The device comes with a pretty simple,self-administered hearing assessment in a free downloadable Smartphone application (downloadable from Google Play or Apple Store). Using the app which is relatively easy, you can run a simple hearing assessment that will test your ability to hear sounds. 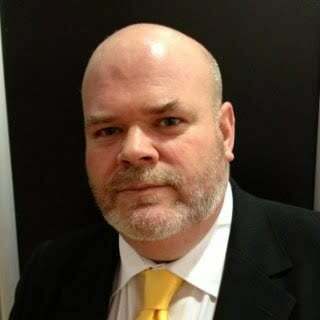 What Does The Assessment Offer? Using the assessment results, the device automatically adjusts voice and audio input controls to suit your hearing levels. It also creates various profiles based on the listening environment (indoors/outdoors, crowded). The app also allows you to fine tune these profiles in real time any time you feel the need. Why Would You Choose Them? These types of devices are really situational devices, they are good for certain situational problems. They are not devices that you would or should wear all the time. If you have a problem that is consistent across your day, well then you really need to consider wearing hearing aids. Having said that, if you are worried about the benefit of hearing aids, these devices can give you a clear idea of what that benefit will be. If you have a problem hearing in just one or two situations in your life, well then these types of devices can give you the edge that you need. The set up is easy, you will go through what is basically a pure tone air conduction test that will allow you to set on a sliding scale the very softest sound you can hear across a series of sound frequencies. The testing procedure is well explained and easy to follow. What was really interesting during the test was that I could increase and decrease the sound signal in 1 dB steps. Something that we don't do in normal testing but perhaps should. I was surprised at the end of the test procedure to be presented with an audiogram. I was even more surprised to realise that it was actually nearly spot on. I have tested my hearing with the best of equipment and the audiogram produced by the BeHear delivered more or less the same results. It did display some differences in my ability to hear in the low frequencies which I attribute to picking the wrong earbuds during the initial set up (they weren't tight enough). I have one complaint about this system of testing and it is not levelled at the manufacturers of the BeHear in particular. An air conduction test does not tell us all that we need to know about a hearing loss. 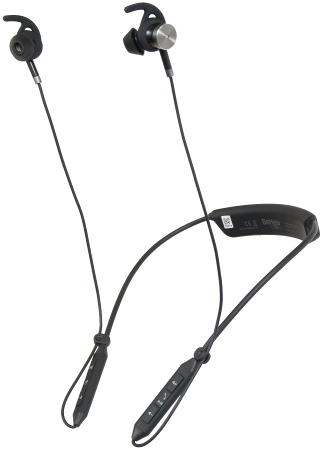 At present, it is not viable to undertake a bone conduction test with these type of devices and it may never be. I would like all the manufacturers of these devices to make it clear that anyone who takes one of their assessments should consider getting a full and in-depth hearing test. I would also like if those manufacturers loaded software into their system that flagged when air conduction results needed further investigation. That wouldn't be hard, it would be based on some logic based on well-known calculus rules. If they did so, I for one would feel a little bit more encouraged that people were not risking their health and hearing by self-treating problems that could do with a further investigation. It is important that I am fair to the manufacturers of BeHear because this is a Beta version, hence bugs. This is not a finished version ready for sale. The version I wore had a few bugs, however, and this is a big, however, they delivered amazingly crisp sound across all applications. Phone calls were excellent, especially with the slow down feature, music was crisp and full, ambient sound was sharp and clear. The noise reduction feature which you can change the level of in the app was pretty good. It basically attacked steady-state noise by turning it down (a bass cut really) but it worked. The devices are light around the neck and wearing them in my ears caused no issue. When you wish to take them out the earbuds hang in front of you and the magnetic plates on the outside of them clamp together to keep them neat. The in-line remotes work as advertised with the amplification remote allowing you to cycle through the different listening profiles etc. The problems I faced were software based, for instance, when I clicked into an app on my phone the ambient noise feature would cut out for a moment. The very odd occasion, the ambient noise feature would stubbornly refuse to turn on. These are all simple software based bugs that the company is already working to iron out. They are pushing out a firmware upgrade soon and I look forward to continuing to test the devices as they do. So, these devices are not quite ready for public consumption, however, I think that they are pretty close. Some software upgrades should see the devices become more stable in use. The premise, the set-up and the hardware are excellent, once the bugs with the Bluetooth system are ironed out these really will be a fantastic option. In finishing, I think these are an absolutely fantastic device just withing to happen, once the manufacturers have ironed out the little issues, they will be outstanding. The other thing is that with all Bluetooth products, there will always be issues, it is the nature of Bluetooth, however, they should be able to limit the issues to the run of the mill norm. Like I said, these are situational devices, ideal and relatively cheap devices to give you a helping hand in particular situations. I think these will be really good devices when they release them, but if you think you need to wear them all day, well then you need to start looking at hearing aids.